When a home is in disrepair and you need to sell, it’s not always as easy. Selling a home in this situation can be a very expensive proposition, in many cases. 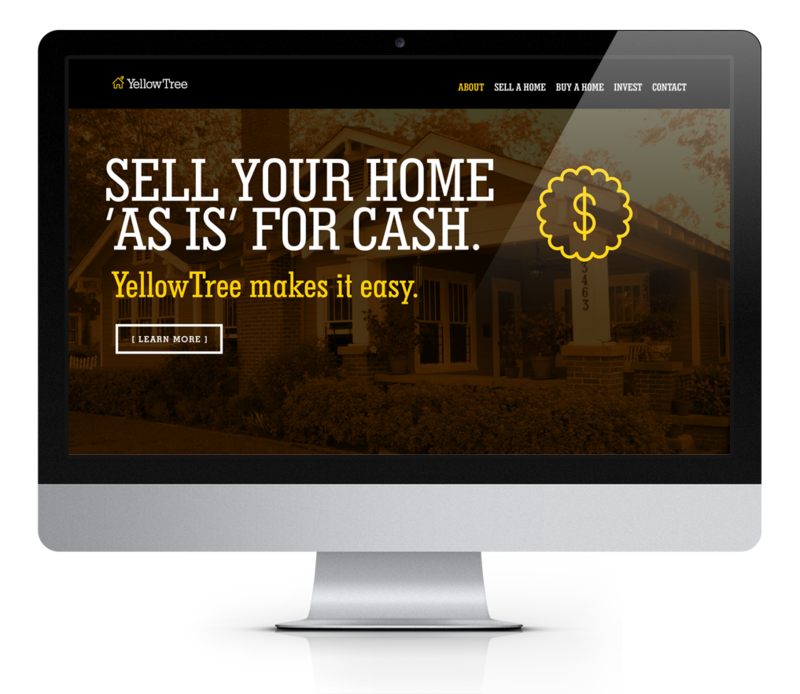 Yellow Tree Homes is an up and coming South Minneapolis real estate company competing for these home sellers. The message to these prospects needs to be simple, straightforward and above all, friendly. Most national and regional real estate firms are very aggressive, even threatening, in their approaches to woo these troubled sellers. Yellow Tree’s presentation needed to be focused on being the local, friendly alternative to helping folks in south Minneapolis. The site’s rich colors, honest typography and bold, full-screen imagery instantly communicates the look and feel of South Minneapolis. This bold look can be delivered across multiple platforms. But the technology doesn’t get in the way of the message and the call to action. This site provides a clear path to action to either sell or buy homes. The also features a directory of homes for sale and rentals.